Lite Brix is the super light building system that lights up. As of yet our model i s incomplete so I cannot show you it in all its finished glory. We were nearly there 2 hours in and my daughter dropped it..there were tears! She is 6 (recommended age) and she really enjoyed putting this together piece by piece. She’s only a little thing and need me to really push in some of the pieces but she followed the instructions just fine. When complete there will be 4 different blinking lights running through the model. Isn’t that cool. 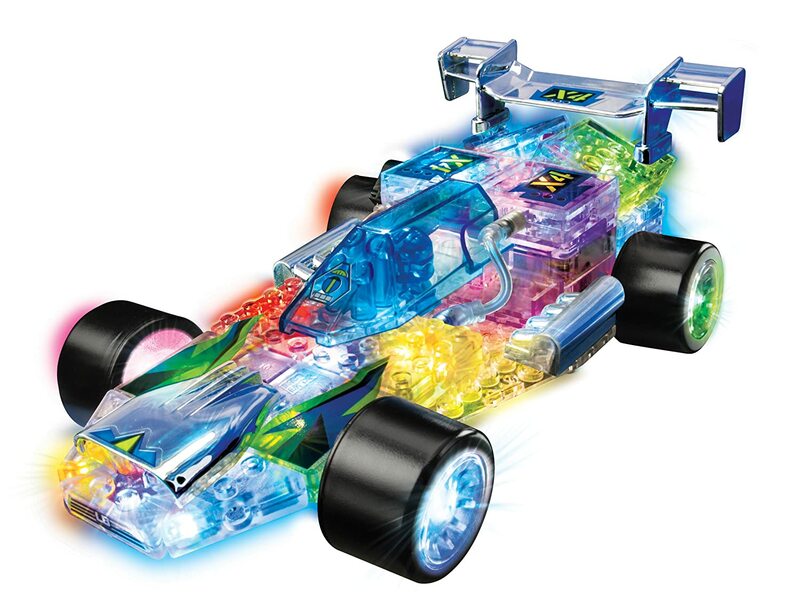 The model can also be rebuilt from a lumi-star racer to a drag racer so basically it is 2 builds in 1. Apart form taking ages and being terribly upset by dropping it I would say this toy gave my little girl lots of pleasure and is really good for her fine motor skills and logical thinking. There are lots of the sets to collect this. Currently the Lumi-star racer retails at £29.27. Any lego loving kid will love this. 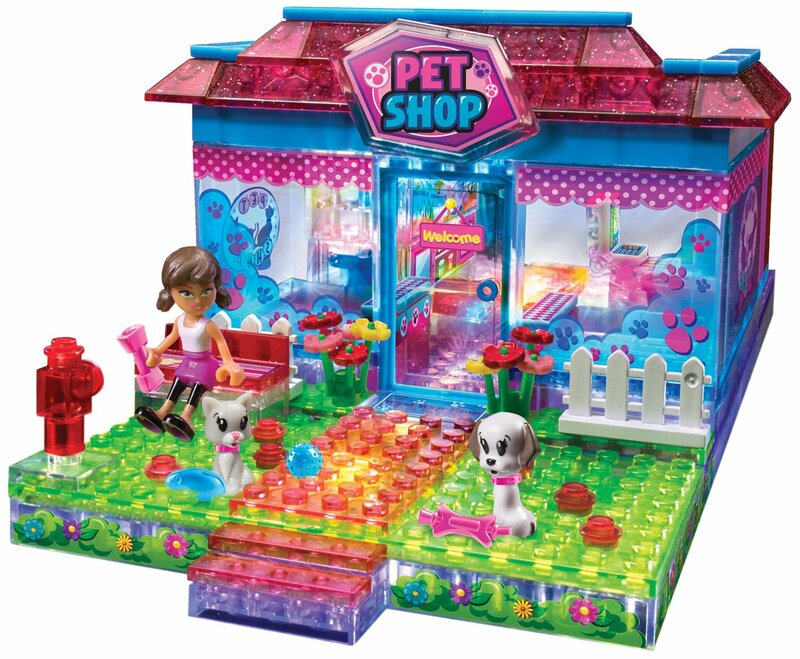 I think the pet shop in the same range is really cute…..and dare I set it less complicated! What do you think of the Lite brix ? They get a big thumbs up here. This looks fab, I want to have a go myself, never mind the kids !